Simple and uncomplicated are two words that describe this salad perfectly. 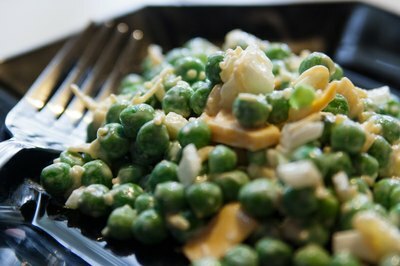 Green pea with cheese salad is an easy salad that you can make in advance of serving. Whether served on a bed of lettuce, with a meal or even by itself, this salad is absolutely delicious. It is a great dish to prepare anytime, but especially during the hot days of summer. This recipe is perfect to make to take to a potluck, to a family gathering or to a picnic. 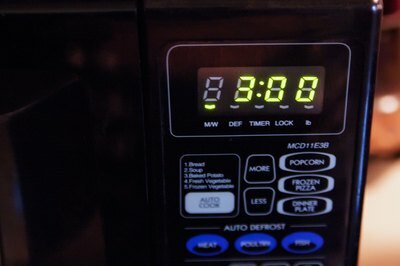 Place the bag of green peas in a microwave. Use peas that are packaged in microwaveable bags because they are quick and easy to cook. Plus, there is one less dish to clean. Cook for approximately 3 minutes or until the peas are tender but firm. The cooking instructions on the bag suggest cooking the peas for 4 to 5 minutes. 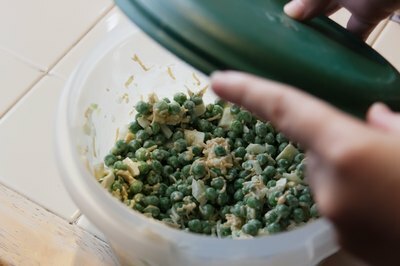 Cooking the peas for that amount of time tends to make them softer than is desired for this recipe. 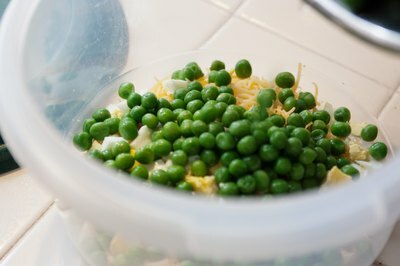 After cooking, open the bag and place the peas in a colander under cold, running water for 1 to 2 minutes to stop the cooking process. 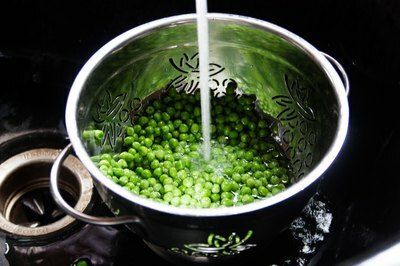 The cold water will instantly lower the temperature of the peas and keep the peas from becoming too soft. Drain the peas thoroughly. Remove the excess water from cooking and from the cold running water so that the salad is not watery when the other ingredients are added. While the peas drain, prep the remaining ingredients. Select a mixing bowl with a lid to use in mixing the ingredients. As each ingredient is prepped, place into the mixing bowl. Dice 1/4 sweet onion. 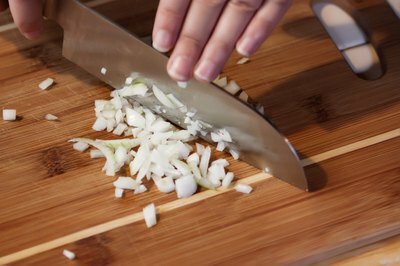 Use 1/4 onion so the onion does not overpower the salad but the salad still has a bit of crunch. Shred 3 oz. of cheddar cheese. 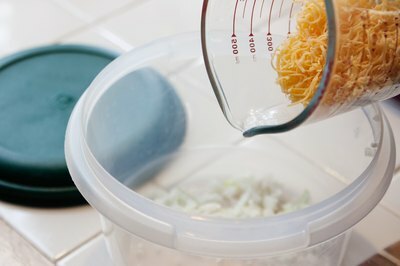 For convenience, use pre-packaged shredded cheese. 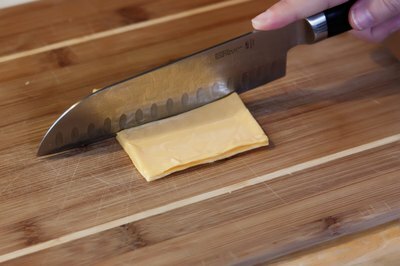 Dice two slices of American cheese by stacking the slices and cutting them in half. Take the two halves and stack them on top of each other. Cut them into thin slices and then into small cubes. 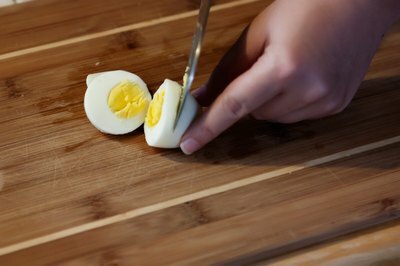 Peel the boiled egg and chop it into small pieces. 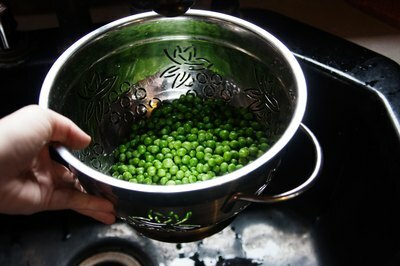 Place the drained peas into the mixing bowl with the prepped ingredients. Add the mayonnaise and pickle relish. Stir together until all ingredients are coated. Use a separate spoon to taste the mixed ingredients. Add salt and pepper to taste. 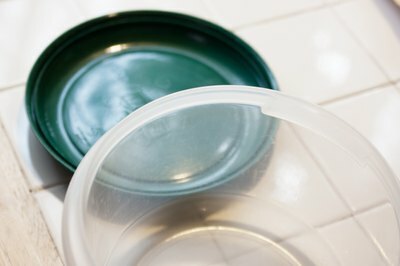 Place the lid on the mixing bowl and place in refrigerator. 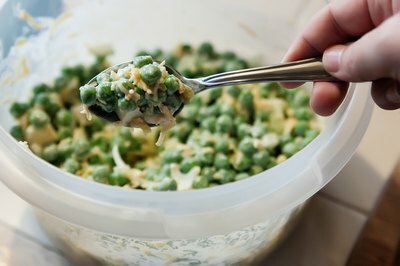 Serve the green pea with cheese salad cold.